Only 12 shopping days until Cinco de Mayo. We hear you’d like some tequila. Well, we can do you one better: rooftop tequila. In fact, you don’t even have to wait until the fifth. You can get a head start in just a few hours. Say hello to the brand-new, long-awaited Rooftop at Masa 14, debuting tonight to put even more cocktails above ground on 14th Street. You recall that big staircase that beckoned you right as you walked into Masa 14, but actually led nowhere. Well, now it leads somewhere. Specifically, to a haven of communal benches, communal cocktails and a giant enclosed bar to help you weather the current unpleasantness until spring returns. There are a couple ways to play it here: first, you can take up a post under the skylights at the concrete bar for happy hour from 5 to 7pm during the workweek, and unwind with $4 mojitos, margaritas and small plates like portobello bao buns. But you’ll probably want to come back on a lazy weekend afternoon with some like-minded lovers of Mexico (those communal tables won’t fill themselves). 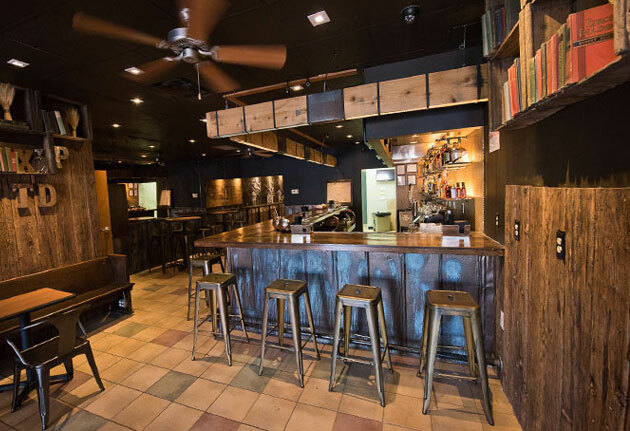 Then your group can order up Thai beers and pitchers of Pimm’s sangria while you split snacks like House BBQ’d Pork Belly Banh Mi, Kobe beef dogs with wasabi and a special rooftop sushi roll made with chili-dusted tortillas. A wasabi dog trumps an umbrella every time.